Former technology executive Carly Fiorina is returning to New Hampshire as she campaigns for the Republican presidential nomination. Fiorina, the former chief executive of Hewlett-Packard Co., is speaking at the President's Circle Leadership Forum at Rivier University on Tuesday. Following that event in Nashua, she'll head to a luncheon hosted by the Derry GOP and a house party in Bedford. The only woman in the GOP field, Fiorina is making her business background a key part of her campaign, saying she is a problem solver with a track record to prove it. She was fired from HP in 2005, however, after a stormy tenure. 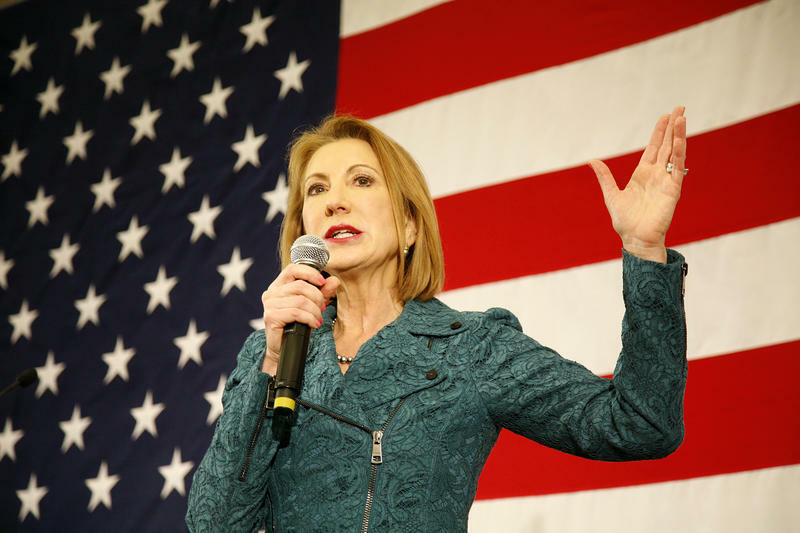 Carly Fiorina is the former CEO of Hewlett Packard and as such, was the first woman to lead a Fortune 20 company. On May 4, 2015, she announced her candidacy for the 2016 Republican presidential primary. Fiorina received her undergraduate degree from Stanford, and earned business degrees from MIT and the University of Maryland. After surviving breast cancer (Fiorina was diagnosed and treated in 2009), she ran for U.S. Senate in 2010, and was defeated by incumbent Democrat Barbara Boxer. 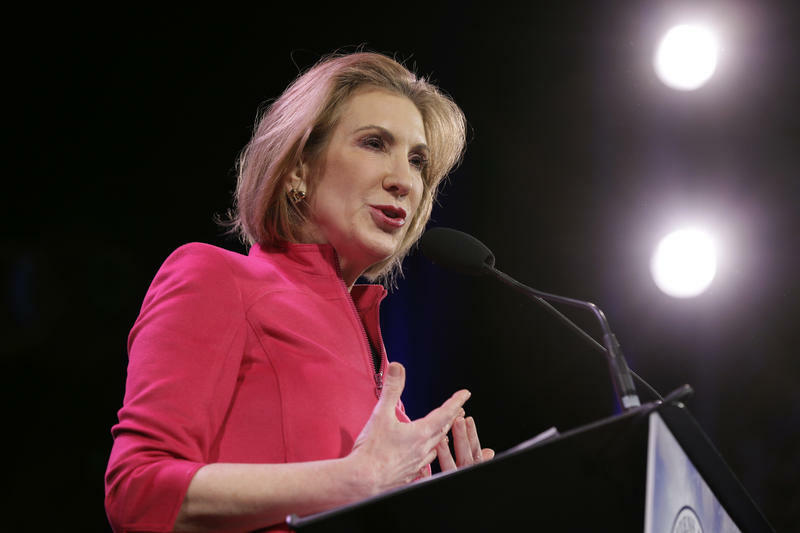 Carly Fiorina, the former chief executive of Hewlett-Packard, says she will seek the Republican nomination for the 2016 presidential contest. Fiorina made the announcement on ABC's Good Morning America and later via a simple tweet. 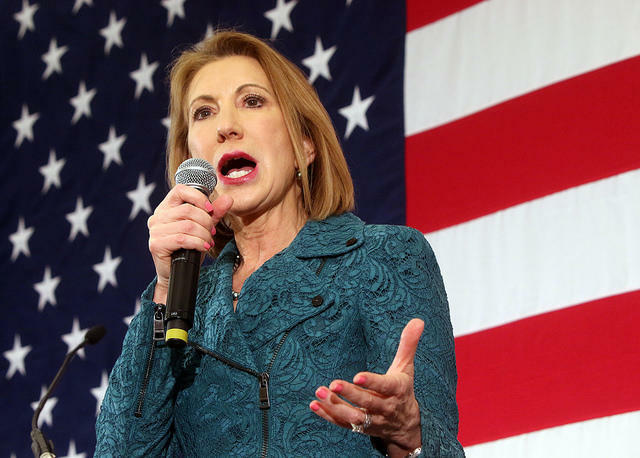 "I am running for president," Fiorina tweeted. As she moves toward a likely presidential bid, Republican Carly Fiorina is heading back to New Hampshire for four days. A former Hewlett-Packard chief executive who has never held political office, Fiorina is using her business background and her gender to stand out in a crowded, otherwise entirely male, Republican primary field.